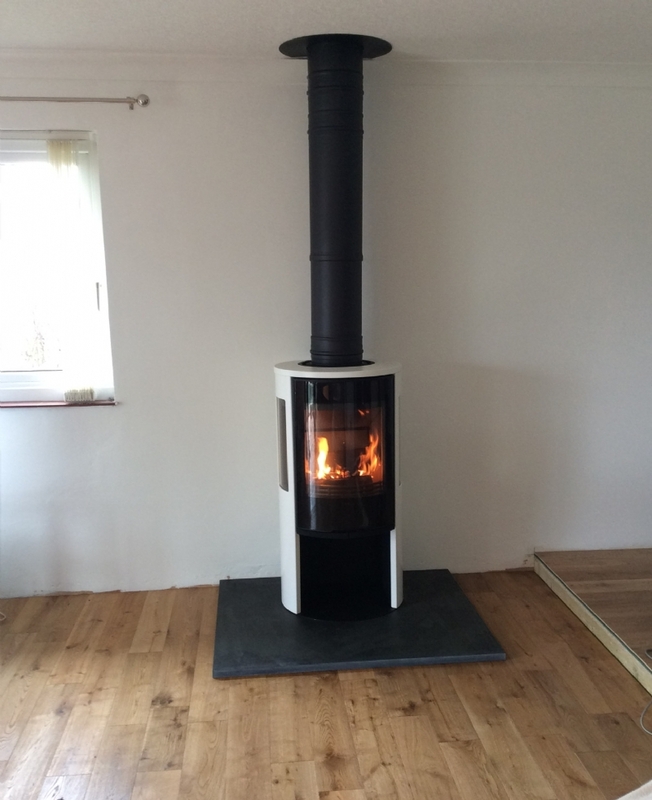 Contura 556 in white wood burning stove installation from Kernow Fires. 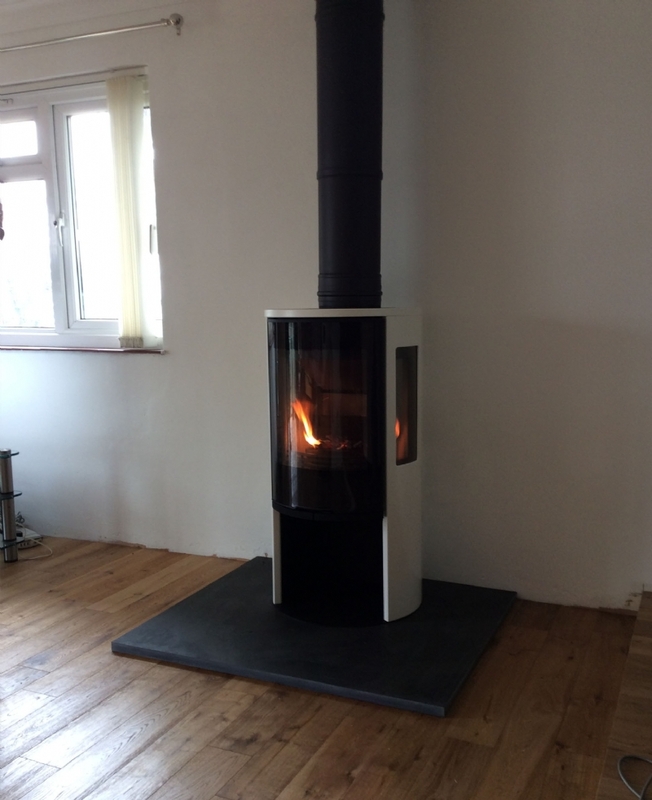 The Contura 556 in white sits beautifully on this honed slate hearth, made to order for this situation. 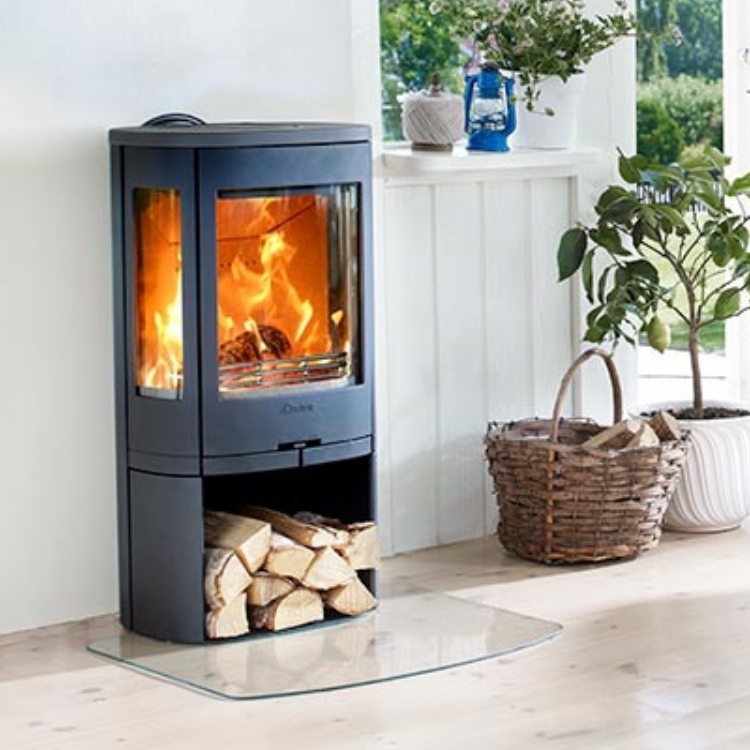 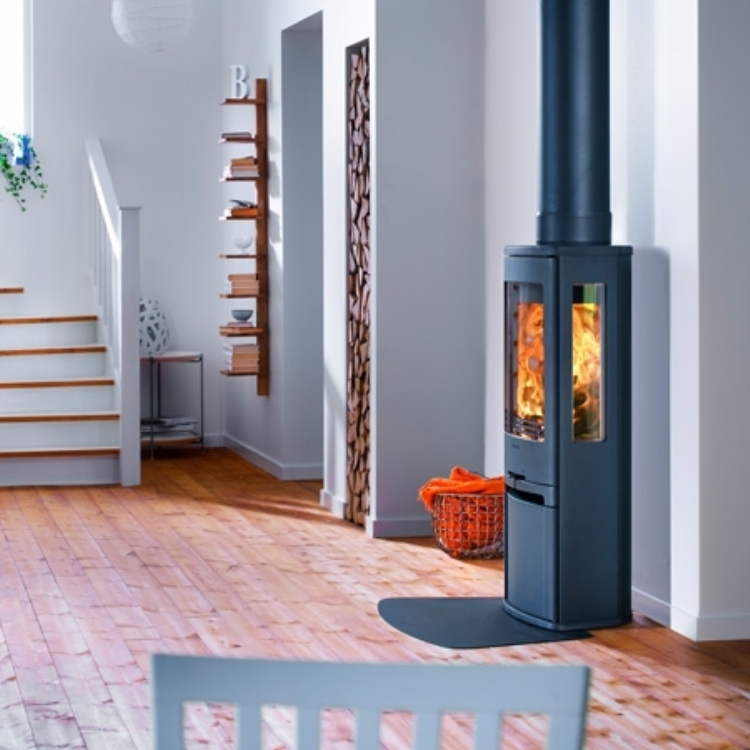 The slate, oak floor and white stove have a Nordic feel which is very popular at the moment. 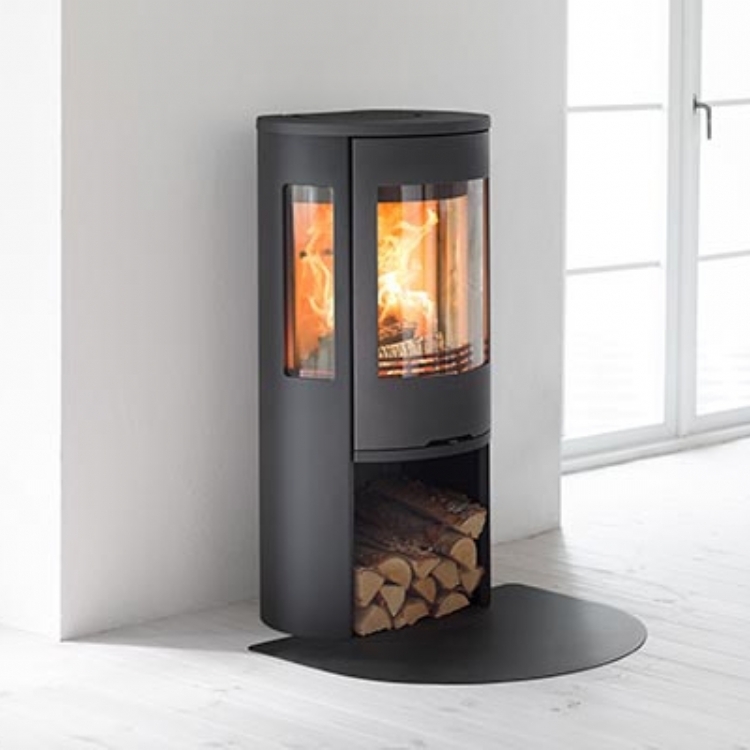 The chimney is created twin wall flue painted to match the Contura black on the inside of the stove.